Last Saturday I realized that the temperature here in Baguio City rose. I slept with just two blankets, instead of four. I busied building something that I would be proud to launch in the coming days. When I woke up in the afternoon, Mr. Sun was there and the first thing I wanted to do was to go out and have a piece of the sun rays. For weeks, we never saw the sun here in the Philippines. Rain did not stop pouring and landslides, flooding and rainy season-caused diseases were everywhere. On social media, the #PrayforthePhilippines hashtag spread like a virus, with philanthropists wiring donation for the disaster victims. In the middle of the heavy downpour of the rain and the strong wind coming from the Pacific, we still needed to go to work to live. As an employee in a foreign-owned company, work suspensions from the government do not cover us. Equipped with an umbrella, a pair of slippers and thick clothes, I went to the office to work. I hated to go outside when I know that students and employees from government agencies are enjoying the warmth of their bed. That Saturday, the weather agency already announced that the typhoon is over. After a minute, a new weather update came in: a new typhoon is hitting the country in the coming hours. Mad but I cannot do anything. I noticed it was my third batch of laundry still waiting to dry. Poor me; I always wanted a fabric dryer. 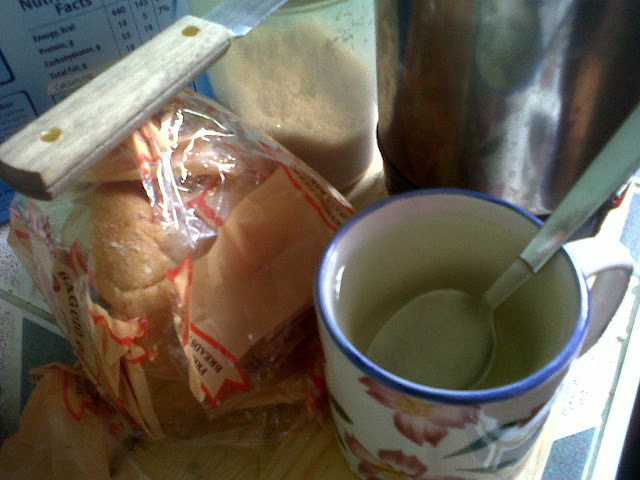 To combat the cold weather, I stored six gallons of water, tea bags, milk powder and sachets of coffee. In an hour, I finish three cups of coffee or tea. While sipping a cup of coffee, I flipped through the pages of my favorite Entrepreneur Magazine. Then spend of my time on Facebook reading weather updates and enjoying memes about the bad weather in the country. A week ago, I was informed about tourists and tour guides in my hometown Sagada trapped inside the Sumaguing Cave. According to reports, these people were on a tour inside the famous tourist destination at the height of the typhoon when the water level inside the cave rose. All of the trapped people were already rescued expect for one. Even the Philippine Coast Guard is in the mountainous town to help. In fact, it is not the first time that we hear such news. During Typhoon Feria years ago, a cousin of mine who shared the same Igorot name with my mom died inside the cave after touring a set of tourists in the middle of a strong typhoon. I am praying for miracles. Miracles for the remaining tourist inside the cave and for the flooded areas. In our country, we do not learn our lessons. We get flooded every time but we still insist to dump our garbage everywhere. Even if it is obvious that the ground we are standing on is about to erode, we still do not evacuate hoping God comes in a Superman suit and fly us to a safer area. In the evening, I went out to meet some old friends. We took dinner in a restaurant along Session Road then parted ways while the rain was not pouring that hard. In Sunday, everything seemed okay. The sun can be seen but the clouds between its supremacy and earth was really thick so the sky was flashing gray. In the afternoon, it started drizzling. I took a nap. At around four, the sun was getting brighter although everything up there was still gray. 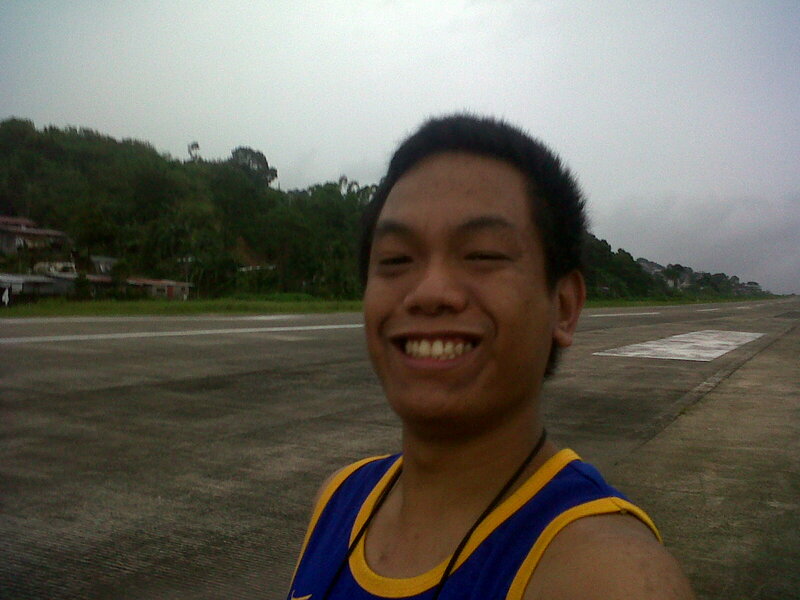 I went jogging along Loakan Airport. Then in the middle of the length of the runway, the rain started pouring. The wind accompanied the rain. I had to head back to my flat. I dropped by at the flat of my workmates and ate dinner with them. This morning, I woke up feeling cold. The new typhoon has just arrived. It was pouring very hard. I fixed all my stuff to head to work. When I got into the office, the lower part of my pants were soaking wet. But life must still go on!